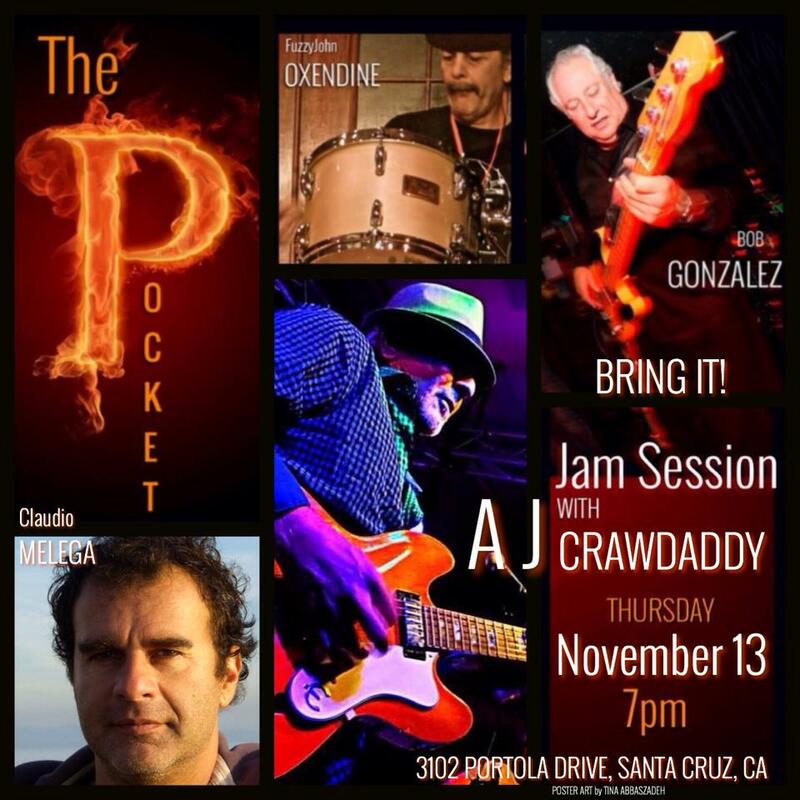 Thursday Night Jam @ The Pocket in Santa Cruz, CA! BE THERE! This entry was posted in Recording by Angelo J. Bookmark the permalink.